@pebawards Our Welof in Amman will provide assistance via rescue and repat. Our OWWA Regional Office will meet the family of OFW Manalang. An OFW in Jordan suffered severe burns on her arms as her Jordanian employer scalded her with a newly boiled tea. 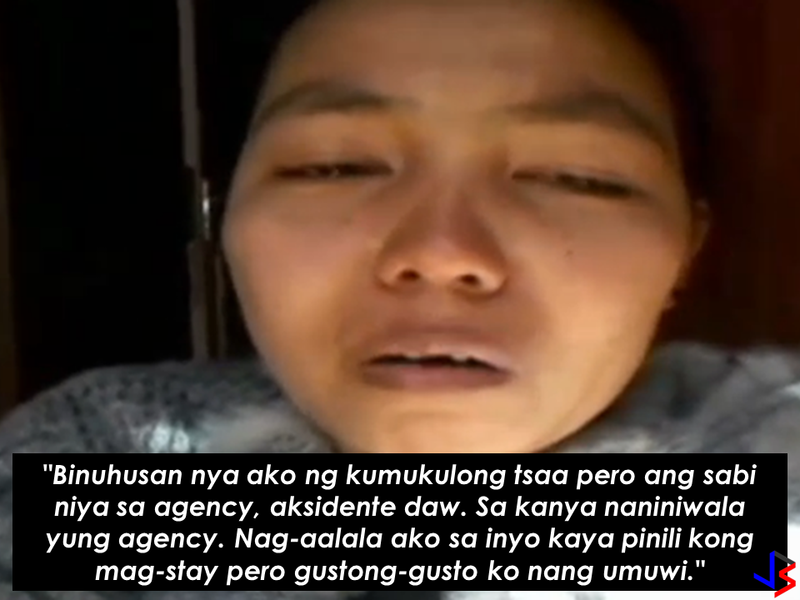 Marjorie Manalang was crying as she narrates what her employer did to her. Marjorie said that she reported the matter to the Jordan based counterpart of her agency but the agency believed the employer's statement that what happened was only an accident. The employer also threatened her that she will have her arrested by the police if she will report the matter to the authorities. In a video chat with her sister, she said that she was thinking about her family and so she chose to stay but she badly wants to go home. In an interview with Raffy Tulfo, Sarah Jane Manalang said that it was not the first time that her sister experienced similar form of maltreatment. She said that according to Marjorie, there was a time that the employer slapped her sisters face and one time, the employer hit her sister with a glass pitcher on the shoulder and recently, scalded her with a newly boiled tea. Mr Tulfo talked to the representative of JVR Placement Agency, Lyka Macapelden and assures the repatriation of Marjorie. According to the agency, they believe the employer's statement that it was only an accident. She also said that the employer works on a human rights office. OWWA Advocacy and Social Marketing Division Supervisor Marissa Cruz said that they will monitor Marjorie's case and find out the truth about it. Meanwhile, an OFW went home without a plan when her 7 year-old kid told her that her husband Darwin, is allegedly having an illicit affair with their baby sitter that is also happened to be her husband's cousin. Marivic Tulfo confronted Janice Masipiña, the alleged concubine of Marivic's husband who denied the allegations at first but later admitted it. The OFW said that they can do whatever they want and she only wants to win the custody of her child. The DSWD and the Barangay Officials of Rodriguez Rizal will assist Marivic in retrieving her child.